Set amongst the rolling hills with a backdrop of Saddleback Mountain lies a city where families and singles come together to “make living their mission.” Whether you are a first time or seasoned buyer, Mission Viejo offers something for everyone. Mission Viejo Real Estate residences are made up of a mixture of condominiums, townhomes and single family homes and are centered around beautiful Lake Mission Viejo. Real estate in Mission Viejo is divided into three general areas: Mission Viejo South, Mission Viejo Central and Mission Viejo North. Most neighborhoods are nestled among the winding boulevards, and are surrounded by lush green belts and trails with approximately two parks per square mile. There is a lovely community set in a pastoral setting known as, Casta Del Sol exclusively for individuals 55 and better. Palmia is a more recently built senior community which is also gated and offers excellent amenities. Mission Viejo has proved over the decades to be the first successful master-planned community in the United States. Mission Viejo boasts a beautiful climate with warm summers and cool--but far from frigid--winters. The average temperature in the summer will range from the 70s to the 80s Fahrenheit (August, the hottest month, averages 83 degrees). Meanwhile, winter temperatures hover in the 50s, dipping into the 40s (December, the coldest month in Mission Viejo, averages 47 degrees). All in all, the temperatures allow people in Mission Viejo to enjoy their picturesque surroundings all year long. There are a variety of recreational and outdoor activities, including the newly remodeled Norman P. Murray Community and Senior Center, three beautiful golf courses, Mission Viejo Country Club, Casta del Sol golf course, and the most recent addition--Arroyo Trabuco Golf Club. Scenic Lake Mission Viejo sits in the middle of it all, where residents can enjoy hiking, biking, golfing, fishing and swimming, all within their city's borders! First-rate athletic facilities abound in the Mission Viejo area, including baseball and soccer fields (the Mission Viejo Youth Athletic Park alone contains eight baseball fields and five soccer fields! ), as well as a number of designated skateboard parks. Sporting events are also available in the area, with the Orange County Fire semi-professional baseball team playing at the Saddleback College ballpark. It should not come as much of a surprise that the scenic Mission Viejo area was selected as the site for the Olympic cycling events during the Los Angeles Olympic Games. Mission Viejo was proud to be selected by Morgan Quitno Press as "The Safest City in the United States," according to a 2007 study using data compiled from FBI information and statistics. 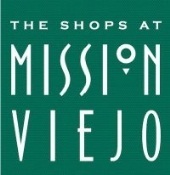 Although mainly residential in nature, Mission Viejo is also home to a number of businesses in the city. Marketplaces and restaurants are conveniently located throughout the city, and with The Shops at Mission Viejo Mall, you'll never need to go far to find what you're looking for. Mission Viejo is also a location with excellent health care facilities. These include Mission Hospital, which is the region's top trauma center and also figures prominently as the largest hospital in Orange County. Children will receive quality health care at Mission Hospital as well, thanks to its designation as one of the two sites for the Children's Hospital of Orange County (or CHOC). The facilities of Mission Hospital are being improved and expanded, and a large number of additional medical offices, health services, and related facilities are found in the immediate surroundings of the hospital campus. This medical area is conveniently accessible for the citizens of Mission Viejo, being found about one half mile from the I-5 freeway off of the Crown Valley Parkway exit. The arts are also represented in lovely Mission Viejo, with music performed by the South Coast Symphony (the self-proclaimed "Unstuffy Symphony for Orange County"), and the Saddleback College Art Gallery available for visits. The renowned Pacific Symphony is located in nearby Santa Ana. The Mission Viejo library system hosts an annual Readers' Festival, which brings acclaimed authors to the city to read from, talk about, and sign copies of their books. This event is appropriate for all ages, as the authors range broadly in style from children's literature to material for adults and teens. Mission Viejo also presents an annual street painting festival in the spring, during which artists take chalk in hand and turn the streets and sidewalks into beautiful works of art. The event is supported and sponsored by many businesses and individuals in the Mission Viejo community. Educational options abound in the Mission Viejo area for families with school-age children. In addition to private Montessori school options for younger children, there are two public school districts. Capistrano Unified School District offers schools serving the students who reside in the southern, eastern, and northeastern portions of Mission Viejo, while the Saddleback Valley Unified School District serves the western sections of the city. Interested adults will also find locations for their educational pursuits in Mission Viejo. A large community college, Saddleback College, is located in the southern part of the city near The Shops at Mission Viejo Mall. Four-year and graduate-level institutions can also be found in the immediate area, as Chapman University, Concordia University, and the University of California at Irvine are all located nearby in cities adjacent to Mission Viejo. Mission Viejo is home to a stimulating assortment of service clubs and organizations for interested citizens, including Rotary Club, Toastmasters, Lions Club, Kiwanis Club, and numerous others. Along with the wide variety of social and recreational activities to be found in town, country clubs and yachts clubs are also available for the enjoyment of members residing in and around the Mission Viejo area. Pet owners will be pleased to note that the Mission Viejo Animal Services Center offers comprehensive services for dogs and cats, including low cost vaccinations and microchip services. Licenses are also available through the center, and are required for any Mission Viejo pet over the age of four months. 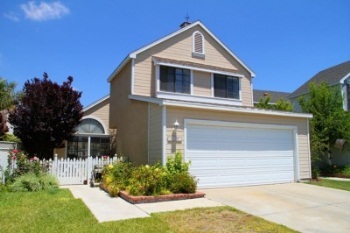 The Mission Viejo home experts at Aaronson Group can connect you with fantastic Mission Viejo houses for sale. Contact our team today to get started!